Rev. Marty Younkin is the author of the best selling book A Wedding Ceremony To Remember ~ Perfect Words for the Perfect Wedding, which has become the Bride’s Bible for planning her wedding ceremony. 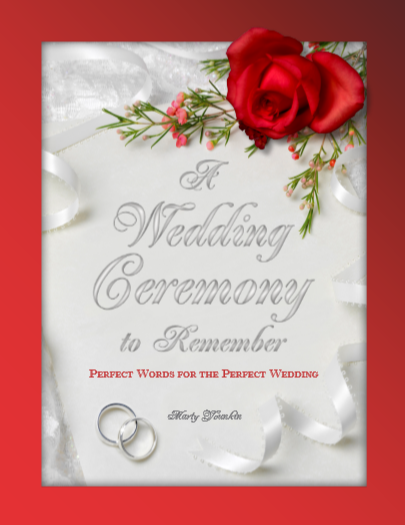 It is a #1 best seller of wedding books on Amazon and has been named one of the top 10 wedding books by the Love Almanac. To order this best selling wedding ceremony planner, click here.